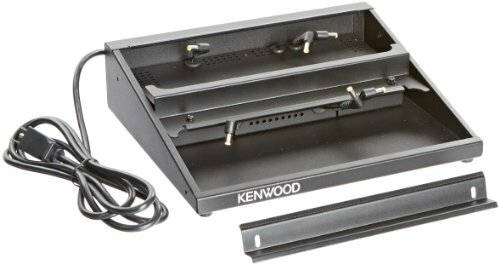 The Kenwood KMB27 is a 6-Unit Charger Adapter which fits TK3130 and TK3230 Radios. It allows you to charge up to 6 radios simultaneously. Simply connect your existing charger base into the KMB-27 housing to save space and use less power outlets. Multi station charging helps keep the shop organized and the radios always have a home when not in use. Chargers are not included. Kenwood USA is a leading developer and manufacturer of consumer electronics and communications equipment. Founded in the United States in 1961, Kenwood USA is the largest sales subsidiary of Kenwood Corporation of Japan and is recognized by consumers and industry professionals for providing products known for quality, performance, and value.